I wish that the guide provided readers with better examples and actionable items. Section 4 and 5 are good, but they don’t really provide educators with concrete starting points. I wonder if these TCDSB portfolio reflection cards might be good place to start. 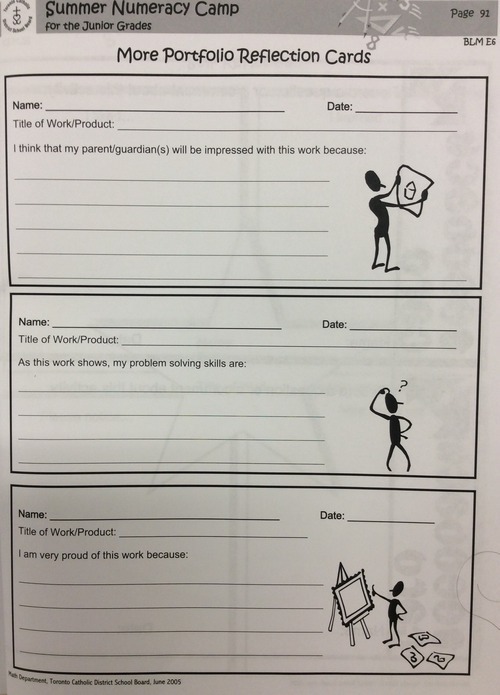 Reflection cards are short, specific pieces of metacognitive work that are not intimidating for students. 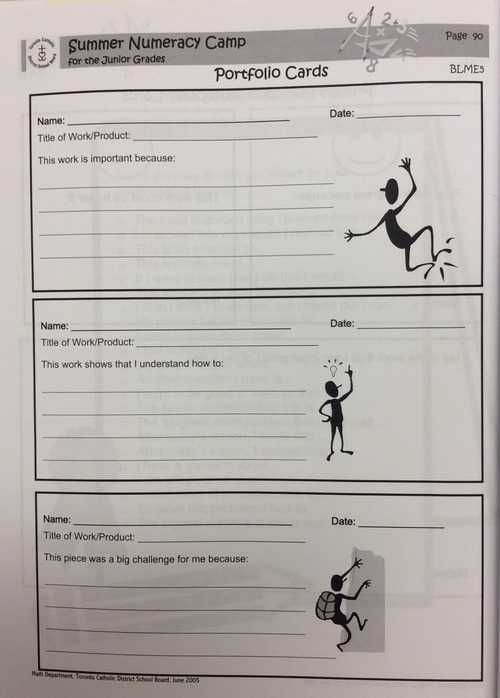 Students can pick appropriate response cards, fill them in, and file them with the work in their portfolios. 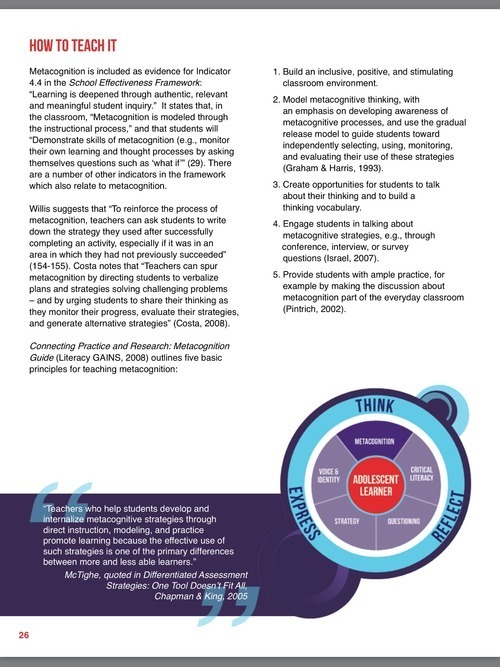 The process could be amplified by periodically looking at their collection of work and reflections (by themselves, with their peers/teachers) and using them to think deeply about individual learning trajectories. 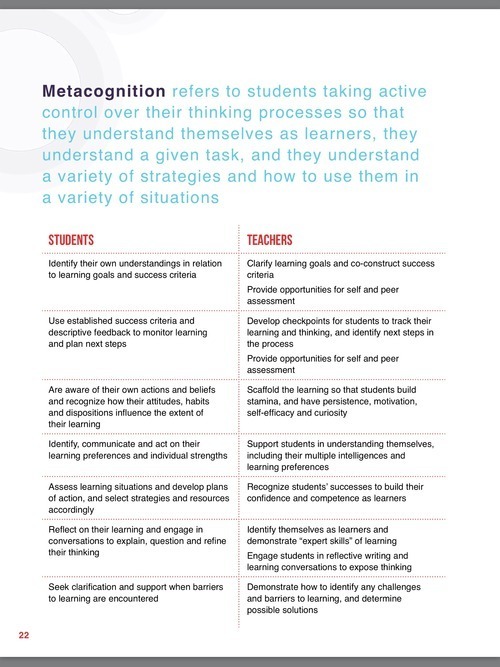 – What does the learning target mean? – What did you have to learn? How did you learn it? – What did you have to practice? How did you practice? – How did you put the pieces together to complete the assignment? Even better, maybe students could share their reflections with others, like students in Scott Kemp’s class do on a weekly basis. I wonder if there any any other ways to scaffold this process?